Talk about Mexican food and the first thing that would pop in your head would be Fajitas. Traditionally made with beef steak, these days, it is also prepared with marinated chicken strips. 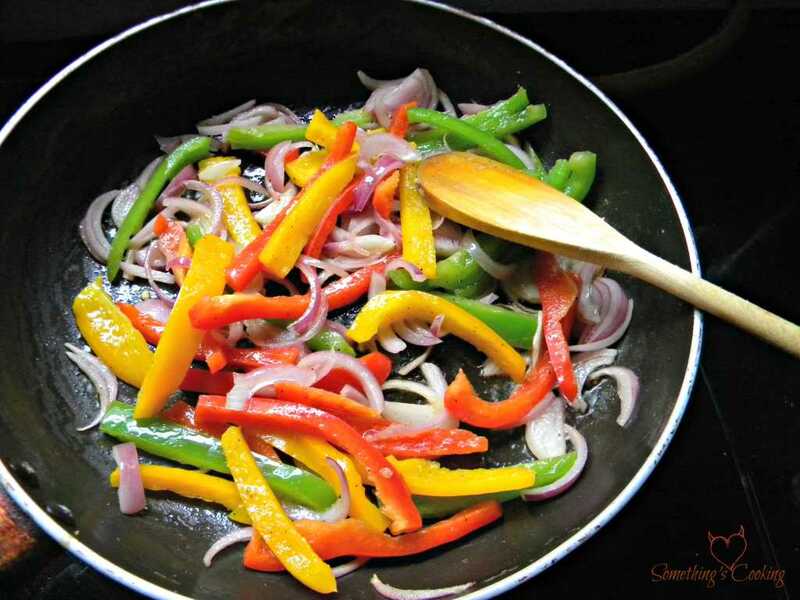 I took this recipe to cook just because I love bell peppers. You wouldn’t be surprised if you find me admiring the colorful bell peppers stacked neatly in a super-market. Aren’t they a treat to the eyes? 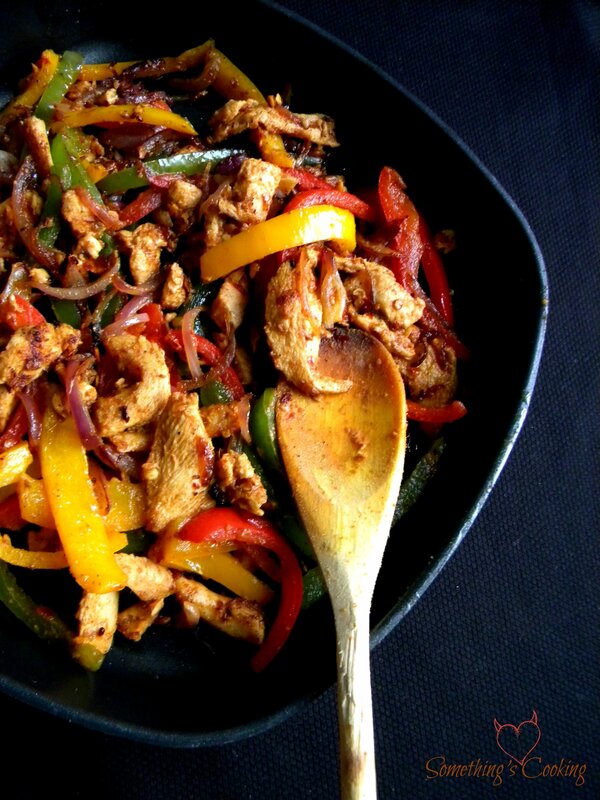 Chicken Fajitas are prepared by grilling the marinated chicken strips and vegetables. They are usually served in tortillas with yogurt and other spicy condiments. Marinate the chicken strips with 2 tablespoons oil, lemon juice and seasonings for a minimum of two hours. In a non-stick pan, saute peppers and onions in remaining oil for a couple of minutes. Do not cook until too soft. Retain the crispiness of the veggies. Remove. Cook the chicken strips over medium-high heat for about 5 minutes, until no longer pink. Add the cooked vegetables to the pan and saute for another couple of mins. Done! Spoon the filling onto the tortillas. 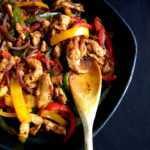 bell peppers and chicken cant get better and I would like to use mayonnaise to garnish and it will best!! Oh goodness! I’ve been cooking chichen fajitas and never knew it! Never had fajitas. But am a big fan of bellpeppers and have regularly used them while making pasta or macaroni :D.
Sadly, I cannot stand bell peppers. I know how pretty they look, but anything remotely linked to a capsicum gives me a migraine! 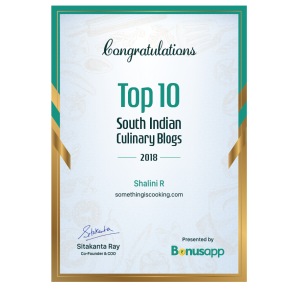 Another yummy recipe. Fajitas remind me of Friend’s episode when Ross tries to cook some. 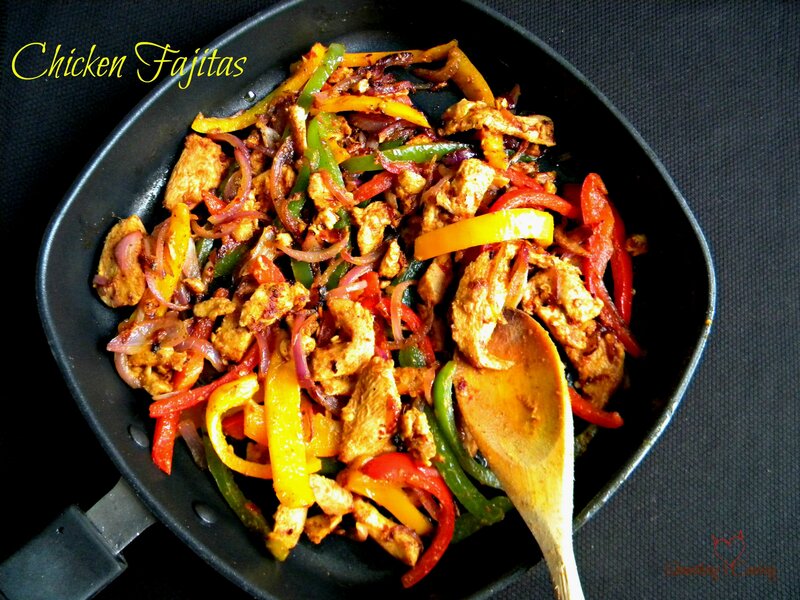 These spicy chicken fajitas take barely any time and require only a cast-iron skillet. Oh, and they’re great too!It’s loaded with crispy chicken, fresh veggies, and wonderful. It’s utterly delicious. Love to see you cooking ‘chef” like dishe . Beautiful colors .. It surely look appetising. Gorgeous recipes and photos I’m not an enthusiastic cook but I will return for inspiration.